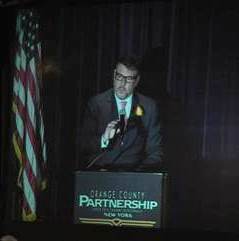 Partner and Orange County Partnership (OCP) Chairman Dominic Cordisco welcomed a packed house last night during his opening remarks at the OCP's 2015 Annual Event. The OCP celebrated a year of unparalleled economic vitality in Orange County with a record breaking number of attendees. 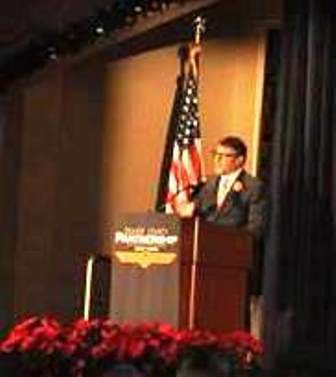 Mr. Cordisco also serves as the Co-Chair for the Alliance for Balanced Growth. He represents local, national, and international clients in matters concerning New York land use and zoning, municipal representation, and environmental law.